← The Sports Archives – Athletics for the Non-competitive Types! The Sports Archives – An Amazing Ski Story! I had been skiing for about for five or six years, going to the same place year in, year out, and I was getting a little bored of it all to be honest. I picked it up naturally and really didn’t feel as though I’d really advanced for at least two or three years. I had been to different destinations once or twice but they still left me cold after the first couple of days had passed and with it the novelty. So I decided that this year I was going to have to make a drastic change. 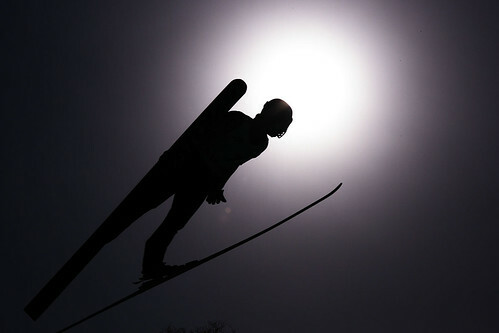 I made a few enquiries and found out where the best place was to learn ski jumping. 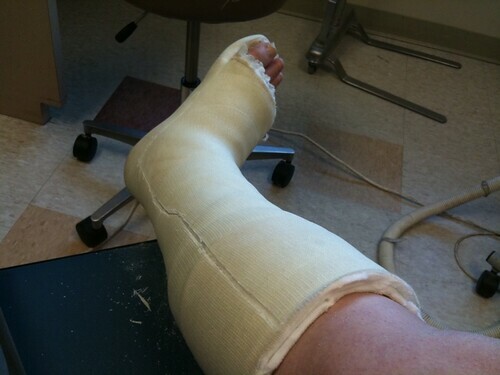 No more downhill slalom for me, I was ready to fly! If Eddie the Eagle could do it, there was no way that I couldn’t. My research led me to book some flight to Utah, which had not long before hosted the Winter Olympics, so I knew the facilities were going to be top-notch and I read great things about the school. It was brilliant. I loved it. The teachers made me feel like they really cared about my success and after a couple of days I was feeling confident enough to start out on the small jumps. Everything went like a dream. I soared very gently up into the sky and came back down to earth exactly as my instructor had told me I should. It was only the one-metre kicker but there was something about the sensation that stirred something inside of me immediately and I knew that this was for me and that I had to get up to my 20 metre objective as soon as possible. My wife had come along with me, a little put out to have missed her usual break in Chamonix with all of our friends. She was having more fun than she let on, though, and she was enjoying getting to grips with the new camera I had given her as a birthday present. She was really keen on getting an artistic shot of me soaring through the air. A combination of my own excitement and my wife’s encouragement saw me make it to the 20 metre stage just a few days later. It was amazing. I didn’t really go all that far but still the feeling was unlike anything I had ever experienced before on the slopes. And my wife got some brilliant shots of it all. It was all going swimmingly, but I wanted more! The 40 metre jump just seemed to be taunting me to take it on. My wife was less keen, she said the shots we had were brilliant and that I was pushing my luck, but I was having none of it. The image of Eddie the Eagle kept flashing before my eyes. There is no way I can’t do that if he could, especially now. I flew so high I honestly thought that I was not going to come back down. Everything stopped for a second, or ten! I had no control over my flight and I knew the fall was going to be a heavy. I say I knew that, but I can’t swear it to be true. The concussion was pretty heavy and the next twelve hours or so are a complete blank. Severe concussion. A broken arm, and leg. And my pride completely shattered. What a fool. I promised my wife right there and then that this would be my first and last foray into the world of ski jumping and that we would revert back to routine the following year. She left me in the hospital for the night and I think I might have shed a few quiet tears when the realisation of how stupid I had been suddenly hit me. I had risked it all for nothing, just to show off a little. As I closed my eyes that night I saw him, The Eagle, soaring out wildly into the sky. I take my hat off to you, Eddie, I said out loud. You really were much more of a brave so and so than anyone ever gave you credit for. When we land in France now and we take that air-conditioned Chamonix transfer to the slopes, I can’t help thinking about that lost winter that we spent in Utah and the feeling that I had when I soared like a bird, although not an Eagle! I wish for a few seconds that we could be on our way there instead, but then the memory of the fall comes back to me quickly and I realise I’m probably better off exactly where I am. Guest Post by Peak Transfers – Charmonix-Mont Blanc. A Brief Guide to the World’s Most Dangerous Sports! This entry was posted in Olympics, Other and tagged downhill slalom, Eddie the Eagle, Extreme Sports, ski, Ski Jumping, skiing, sports and leisure, Sports Archives, Sports Blogs, sports injuries, storytelling, Winter Olympics. Bookmark the permalink. 3 Responses to The Sports Archives – An Amazing Ski Story! A blast from the past here, this was one helluva chap “Eddie the Eagle” i think he was known as. Was a little guy with huge cahonas and great passion for what he did.